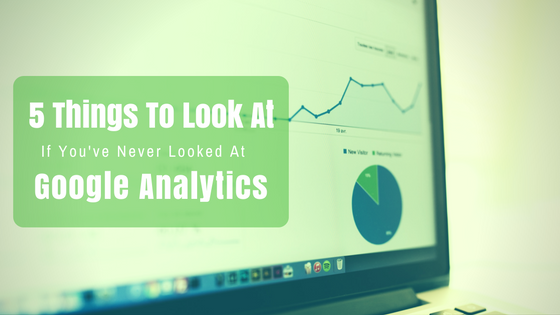 Once up and running, you’ll see data start to accrue in your Google Analytics. Here are five of the most basic reports that will give you a sense of how visitors reach your website and what they do once they’re there. The Audience Overview gives you a snapshot of all the basic metrics for the date range in question. You can adjust the date range in the upper right hand corner of every report and set a comparison range, so you can see what sort of progress you’re making. Below the line graph that shows day-to-day traffic you’ll see data around Sessions (how many unique visits to the site occurred within the specified date range), Users (how many unique visitors to the site) Pageviews (how many individual pages were viewed), Pages Per Session, Average Session Duration (length of the visit), Bounce Rate (the percentage of time a visitor took a look at a single page on your website but took no further action before leaving the site or timing out) and the percentage of Sessions that were first time visits. If your business is locally-focused (like a retail shop or restaurant) then you might want to check to see whether your website is reaching its intended geographic target audience. The default view on the Location Report breaks down your website traffic by Country. In the case of our example, we want to weed out all overseas traffic because the intended target customers are all U.S.-based, so we have to apply a filter to include only the data for the United States. Clicking on the “advanced” link next to the search/filter box above the report will allow you to Include or Exclude any data based on a number of variables. Once the filter is applied you’ll have a less cluttered view of your Location report and can start to determine whether your website is attracting the right audience. The Mobile reports breakdown visits to the site based on the type of device being used: Desktop, Tablet or Mobile Phone. A look at the Devices report can help determine whether your website performs well across all platforms – high bounce rates from mobile devices can be a tip-off that the site doesn’t work well for visitors using their phone. 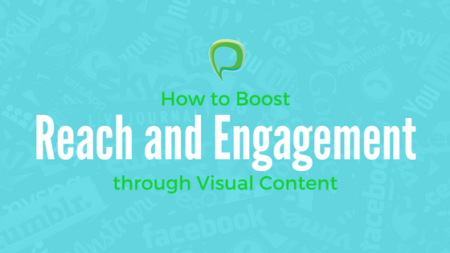 What are people looking at on your website? 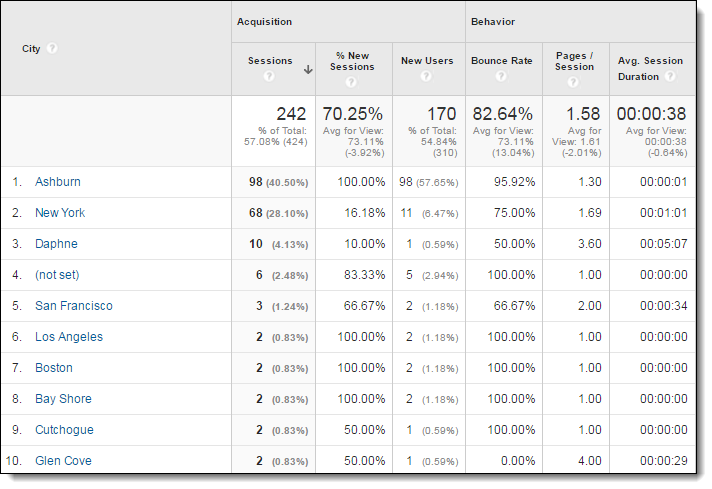 The Pages Report lets you see the most visited pages on your website. There are clues that can help you identify the pages that work best at keeping your visitors engaged, for example looking at the bounce rates. 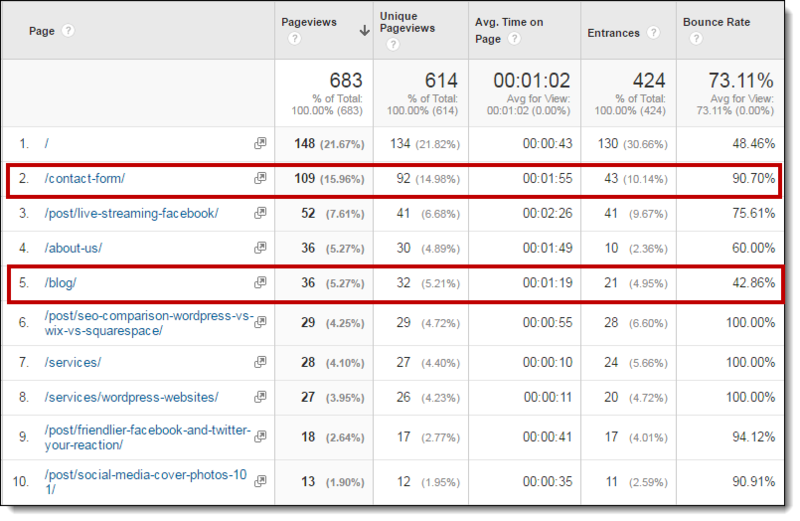 In our example, the main Blog page keeps 57% of visitors to our site engaged. That may be obvious – the page is regularly updated with fresh content that our readers find informative and useful, so they click-through to read more. On the other end of the spectrum, we can see that 90% of people that land on our Contact Page don’t actually submit the contact form (or at least they didn’t during the specified date range). We can try to address this with a better call-to-action, or maybe an incentive like a free e-book or whitepaper to get the visitor to contact us. Once upon a time, Google supplied you with the actual search phrases that brought traffic to your site – but those days are gone. To protect the privacy of person running the search Google disconnected this report from Google Analytics. However, you can still get a sense of which phrases cause your site to appear in search results and which actually converted into a click-through to your website. You do this by connecting up your Google Analytics account with your Google Search Console (formerly Webmaster Tools) account. Once connected, data will begin to flow from Search Console to Analytics and you can access it by selecting “Acquisition, Search Console, Queries” menu in the left. A goodly number of phrases are still blocked by Google, but there is still plenty of useful information. CTR, or click-through rate, might indicate which phrases do the best job of turning a searcher into a visitor – you might try to incorporate those phrases in your organic SEO or paid search ad campaigns. The Average Position column give you a way to assess where in the search rankings your webpage appears for a given phrase/query. Search rankings change based on many factors – the searcher’s location, browsing history, etc., so imagine your website shows up in the #4 spot for one searcher, #2 for another searcher, and #8 for a third searcher. The Average Position for this phrase is 4.6 (4+2+8 / 3). Previous: Website Design: Long Scrolling or Card-Style?